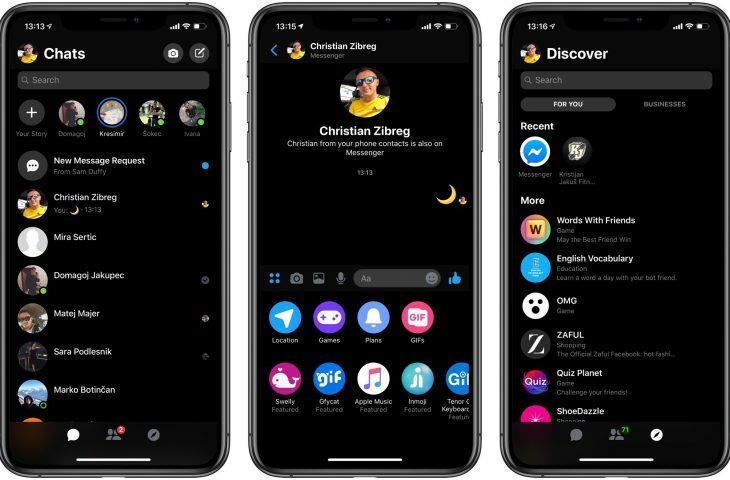 Facebook a month and a half ago began testing a pure black interface in Messenger’s mobile app, and today a new Dark Mode setting has gone live for all Messenger users globally. 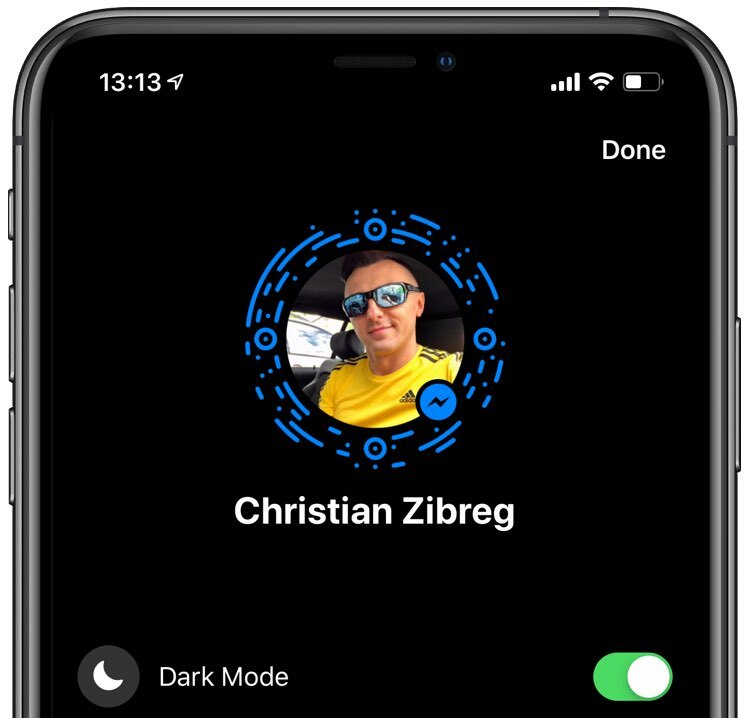 “We’re excited to announce that everyone around the world will be able to activate Dark Mode in Messenger with a simple toggle switch from settings,” the firm wrote this morning. 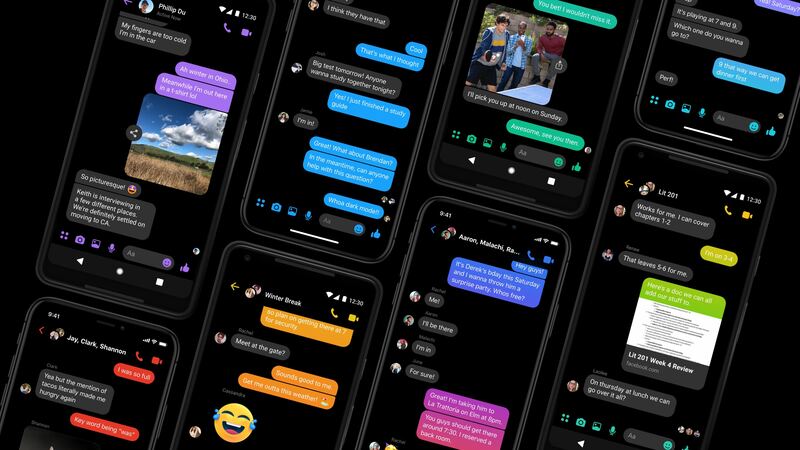 Messenger’s dark look is pretty awesome, especially for late-night chatting, and is generally a lot easier on the eyes than the predominantly white interface. And if your device has an OLED-based display, using dark modes in apps may even help conserve battery power. Watch the animation embedded below to see it in action. The toggle is rolling out globally today so check back later if it’s not already present it your copy of the app. 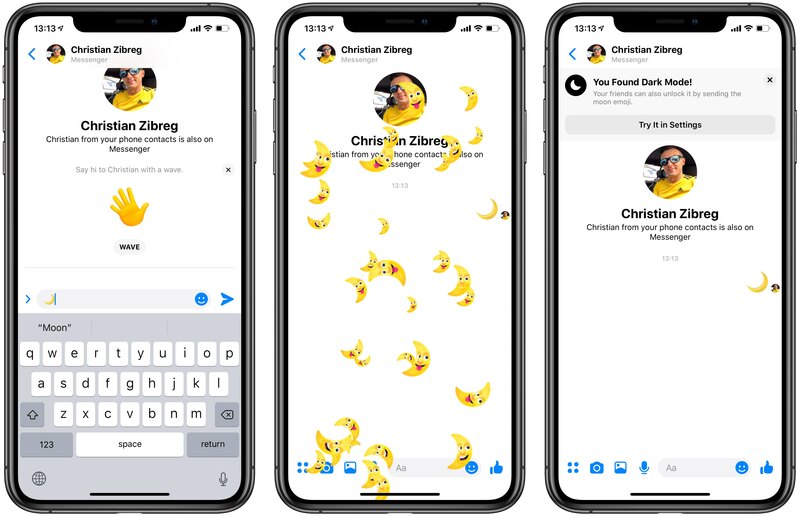 The Easter Egg activation of Messenger’s Dark Mode continues to be present in the latest edition of the app—simply send a crescent moon emoji in any chat to enjoy countless crescent moon emojis falling down in the chat interface. Now tap the emoji you just sent in the thread and a message should pop up at the top of the screen, saying “Manage Dark Mode in settings”. Simply tap the banner to land on the appropriate section in the Messenger settings. Actually, this Easter egg trick used to be a required step to reveal the otherwise hidden Dark Mode toggle in Settings. With the Dark Mode toggle now launching for all Messenger users worldwide, simply visit the app’s settings directly to turn Dark Mode on or off. To access Messenger’s settings, tap your profile image. Apple is developing a system-wide mode for iOS 13 that will work similarly to the darkened interface in Mojave, with your favorite apps automatically switching between Light and Dark modes according to your current system preference.